With so many paid-for and free apps available on the App Store these days, it's easy to reach a point where you have so many of them on your iPhone or iPad that a sizable proportion are simply forgotten about, and soon storage space starts to become an issue. Fortunately, there's an easy way that you can keep tabs on which apps you use the most and which ones have basically become redundant to you, and are just adding needless clutter to your home screen and eating up storage. Follow the steps below to learn how it's done. A list of all the apps (including stock apps) on your iOS device will load in order of size, with the largest apps listed first. Scroll down the list and look at the Last Used: date underneath the title of each app. If it's been several weeks or months since you opened an app, or it says Never Used, then consider uninstalling it – tap the app in the list. Two uninstall options are presented on this screen. 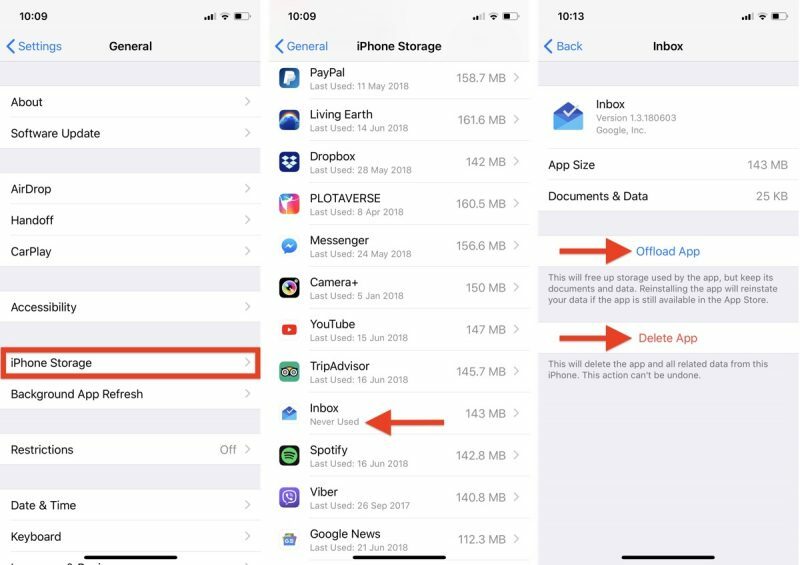 Tap Offload App to unload the app but preserve any documents and data (these are reinstated if you later reinstall the app) or tap Delete App to remove the app and all related data from your device. If you tend to download a lot of apps that often get left unused, consider enabling the iPhone Storage menu recommendation to automatically Offload Unused Apps when you're low on storage. If you uninstall a purchased app but later decide that you want to use it (and it's still available in the App Store) simply follow the steps below. Tap the Today tab if it isn't selected already. Tap your circular profile photo at the top-right of the Today screen to access the account settings screen. In the Purchased screen, tap the Not on this iPhone/iPad tab. 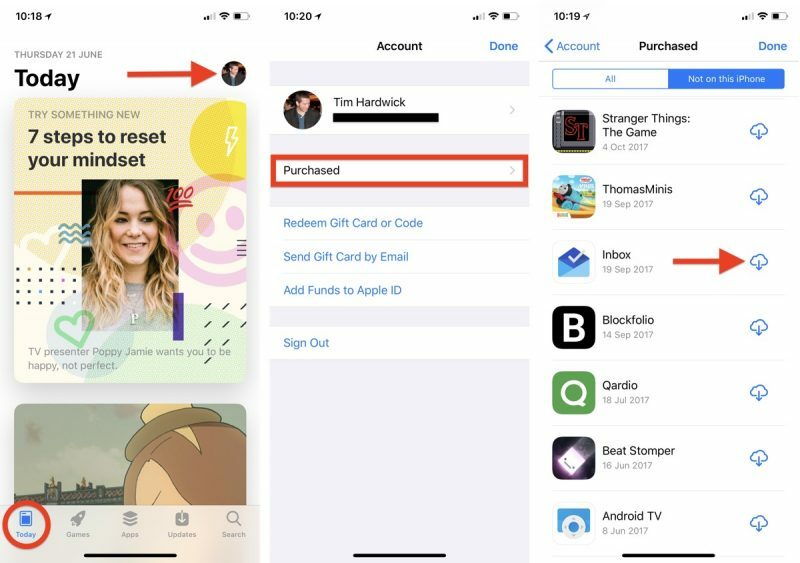 Scroll through the list of purchased apps to find the one that you want to reinstate, and tap the cloud download icon next to it to re-download and install.